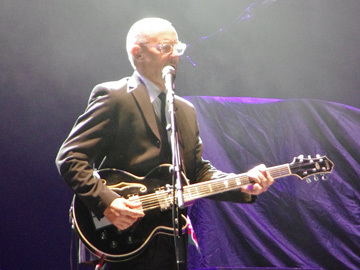 A welcome return for Andy Fairweather-Low & the Low Riders to Wickham Festival! They’ll be supporting 10cc on our opening night. Best known for his hit single Wide-eyed and Legless, Andy has enjoyed a long and distinguished career in the music industry. He first hit the big-time with Amen Corner who enjoyed a string of hits including Bend Me Shape Me, High in the Sky and the UK Number 1 (If Paradise is) Half as Nice. Since then the Welsh wizard has sung backing vocals for artists as diverse as The Who and Kate Bush and he has also toured extensively with such legends as Roger Waters, Bill Wyman and Eric Clapton both as part of his touring band and opening for him in 2013 with the Low Riders. Throwback (Good) Friday: Andy live with band on Tyne Tees TV “The Geordie Scene“ in February, 1976 performing “La Booga Rooga“. Remember to check out Andy’s official YouTube channel which is full of hand-picked TV and concert performances. For instance, here's one of Andy’s very first TV appearances with Amen Corner in 1967. An absolute rarity. Click the subscribe button for regular updates.